HAVING had few showers over the past 45 days Grant 'Axe' Rawlinson was wary of his smell. Putting that aside however, he was able to sit back and take in the sights of the Coffs Coast on Wednesday having cycled from Darwin. The Kiwi adventurer hit Coffs Harbour late on Tuesday as the sun dipped below the horizon. 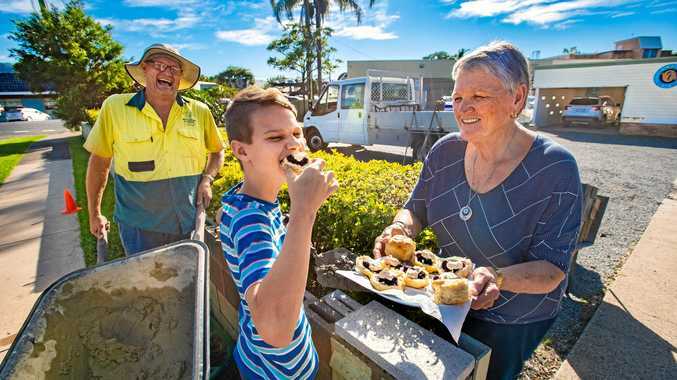 Grant said cycling through the northern end of NSW was "probably the prettiest part” of his epic 3900km ride on a bike borrowed from his wife. He said the greenery was a stark contrast to the barren landscapes of the outback. But he said each place he rode through offered a different layer of natural beauty. Conscious of the dangerous Australian wildlife he might have come across, Grant was surprised to see only one snake - dead on the road - despite setting up camp in the bush. "Human beings were still the biggest danger on the cycling trip,” he said. Grant said trucks posed the biggest threat and came close to having a punch up with one particular driver who claimed he was taking too much road room with his bike. 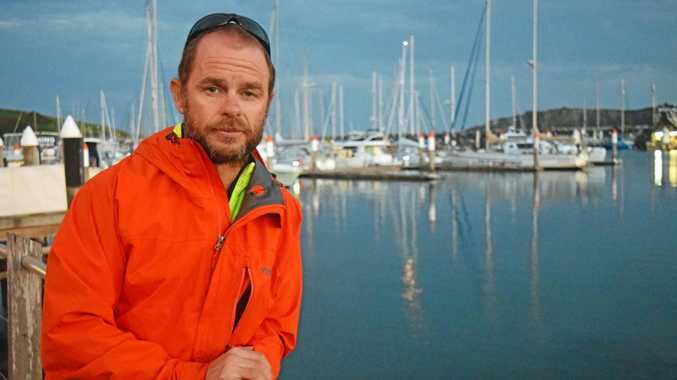 But a new danger will soon present itself as Grant prepares for the final stage of his epic 12,000km human powered journey from Singapore to New Zealand - the Tasman Sea. While he rowed further than the distance from Coffs Harbour to New Zealand in his first leg of the trip, rowing his boat 'Simpson's Donkey' from Singapore to Darwin, the Tasman Sea is likely to be less forgiving. Grant said the cold and currents of the Tasman Sea posed a serious threat. But two thirds of the way through his adventure he is determined not to give up although he will have to wait for the right weather conditions. Grant said he would likely return to Coffs Harbour in October when the wind tends to come from the west before he takes off to his homeland. In the meantime, he will return to Singapore where he now lives with his wife and two children, and begin strength training for his next rowing effort. Grant said he would likely have a shower before he arrived back home.